When you think about Costa Rica, what’s the first thing that comes to mind? Chances are you imagine a tropical land full of natural beauty and national parks. You think of exotic wildlife, waterfalls, and volcanoes. You remember Costa Rica is the original home of ecotourism. And there’s adventure too. Such as rafting, zip lining, and many other activities to sink your teeth into. But where are the best places to visit in Costa Rica? If you only had a short time, where would you go? In a country full of incredible sites, which ones are unmissable that a traveller should experience? Here are 10 top and unmissable places to visit in Costa Rica. 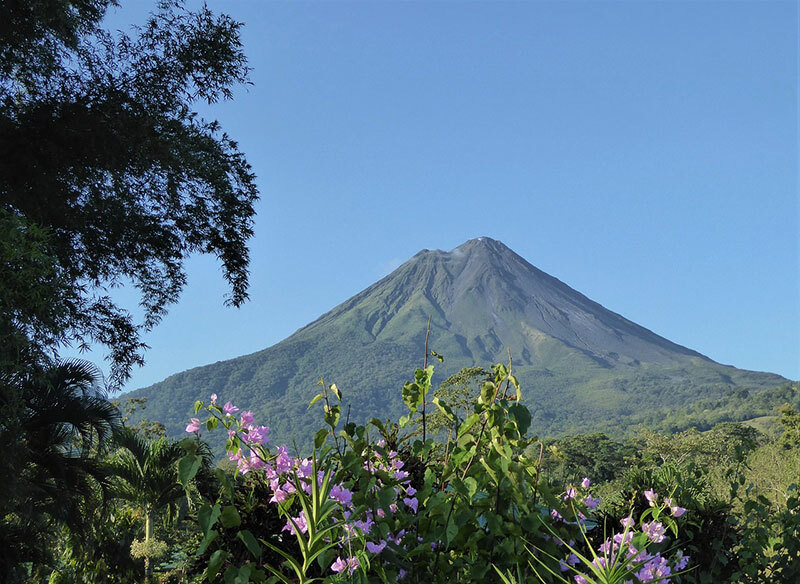 Arenal is a perfect cone-shaped volcano. It’s still active, with its last major eruption in 1968 and some smaller eruptions since. But it’s not only the volcano itself that makes this part of Costa Rica unmissable, as this region of Costa Rica is the adventure capital of Central America. The town of La Fortuna sits at the base of Arenal and from here, if you like adventure, you can do anything. Including Zip-lining, river rafting, caving, jungle hiking, rappelling and more. Then afterwards you can soak in steaming volcanic hot springs in any of the surrounding spas. Check out Tabacón Thermal Resort & Spa as one of the options. At 3,820 meters (12,532 feet), Cerro Chirripo is the highest mountain in Costa Rica. It’s an effort to make it up here. By “effort”, that means a full day hike uphill, a night in the visitors refuge 400m below the peak, a final push to the top, and then all day back down. It’s not for the fainthearted. But for those who make the effort, the reward is spectacular. The summit is one of the few places in the world where – weather permitting – you can see the Pacific and Atlantic (Caribbean) Oceans at the same time. And if you get there before dawn and watch the sunrise, you’ll know why this place is unmissable. Read more about the Chirripo hike. Playa Ostional is a beach on the Pacific side of Costa Rica near the beach community of Nosara. It’s a beautiful beach in an incredible part of the country. Costa Rica is full of wonderful beaches, so what makes Ostional stand out is the turtles. If you’re looking for an unmissable place to visit in Costa Rica, come here between August and September. Try to come just before the new moon and you’ll experience an arribada, a true wonder of nature. 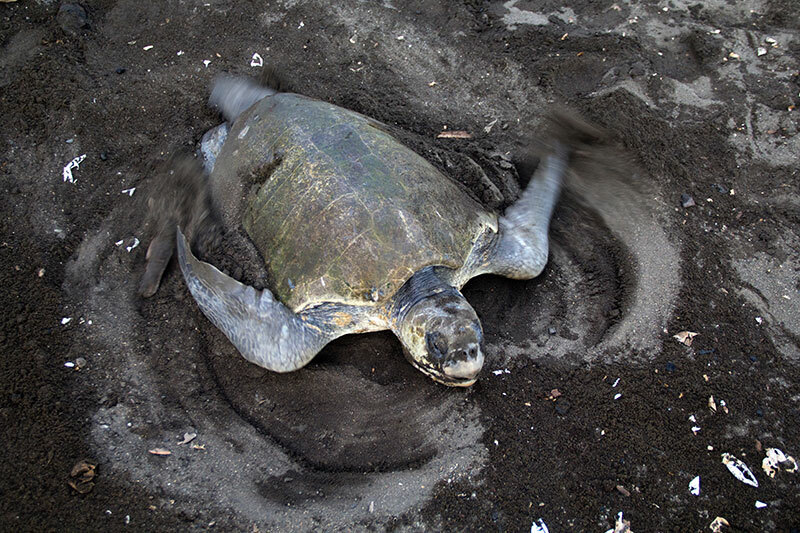 An arribada is the term used for a mass nesting of turtles. Thousands come ashore to Ostional during this time to lay their eggs. Experts reckon the arribada of November 1995 saw half a million turtles arrive. If Costa Rica is an ecologist’s dream, the Osa Peninsula must be an ecologist’s fantasy. Two well-trotted numbers here to back things up. The Osa Peninsula takes up about 0.00000085% of the world’s surface area and packs in 2.5% of the world’s biodiversity. That’s amazing. To put it another way, National Geographic called the Osa “the most biologically intense place on earth in terms of biodiversity”. Here you’ll find big cats, tapirs, the largest population of scarlet macaws in Central America, four species of monkeys and so much more in the Osa. Offshore, the Golfo Dulce is a breeding ground for humpback whales. The national park here is Corcovado, and it’s pristine. Truly unmissable. While the Osa Peninsula attracts nature lovers, the Nicoya Peninsula attracts beach lovers. 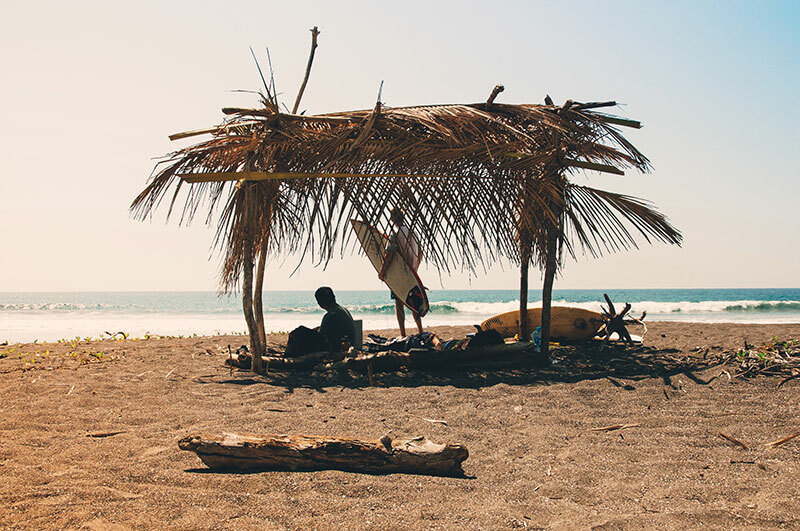 From Tamarindo down to Cabo Blanco and round the corner past Montezuma into the Gulf, the Peninsula de Nicoya offers deserted beaches, big surf, hidden coves, and relaxing tropical islands. Tamarindo is the archetypical tourist town full of restaurants and bars. Samara is great for families, close to Playa Carillo, and many call Costa Rica’s most stunning beach. Looking for empty surf? Try San Miguel or Coyote. Looking for a true surf village? That’s Santa Teresa. Montezuma offers a laid-back hippy vibe. 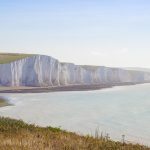 You’ll find a beach community here to suit your personality type, no matter what that is. There are few places on earth like the Rio Celeste, in the Tenorio Volcano National Park. It’s the colour you see. Bright turquoise waters flowing down through a wonderful waterfall surrounded by hot springs amid a rainforest. The turquoise comes from volcanic minerals and makes every wannabe Instagrammer crave to get snapping and posting. 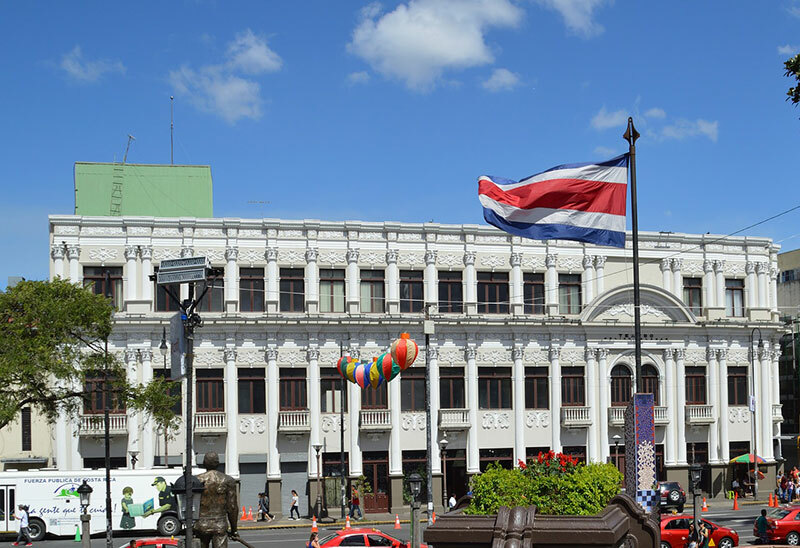 San Jose is Costa Rica’s colourful, chaotic capital city. It’s also where the people are, with one in five Costa Ricans living in the city and the surrounding metropolitan area. In recent years, San Jose has cleaned itself up, too, and is no longer the hellhole portrayed by the 1990s and early 2000s guidebooks. Within the city there’s a thriving culinary and entertainment scene, gentrified neighbourhoods, and wonderful museums and galleries. 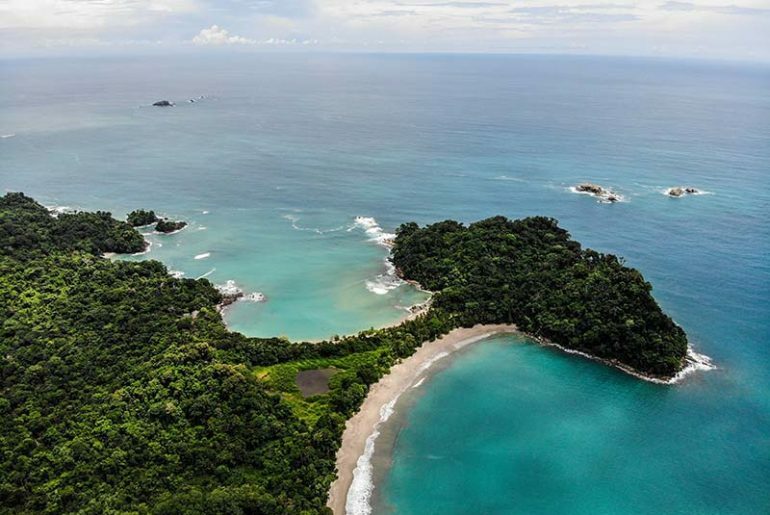 There’s a reason why Manuel Antonio features on so many Costa Rican travel itineraries. It’s because Costa Rica’s smallest national park is beautiful. On the Central Pacific coast, this gem packs a lot into less than seven square kilometres. You get white sand beaches backed by a verdant jungle full of monkeys and birds. You get a bunch of trails to hike, and the Cathedral Point looks great from the air if you’re into your drone photography (see first image). 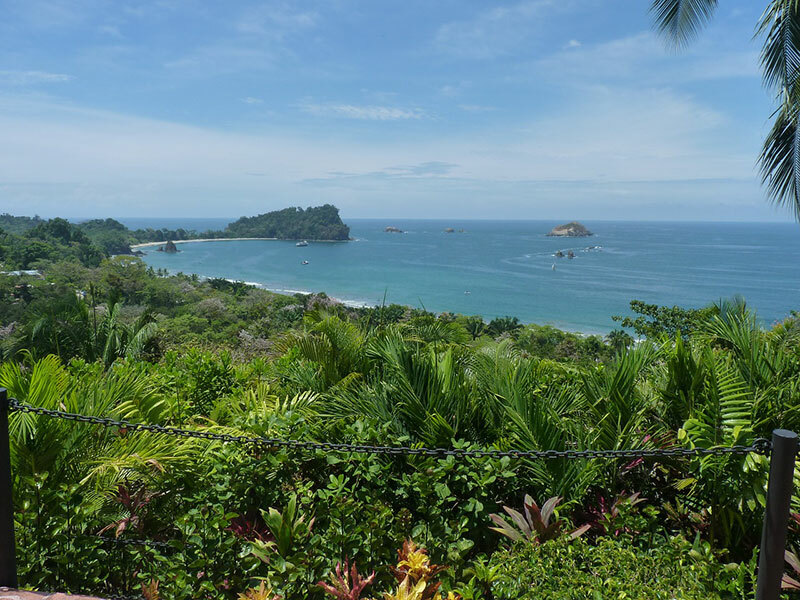 Outside the park, Manuel Antonio offers more to see and do than most places in Costa Rica. Including rafting, hiking, zip lining, kayaking, and other adventures are all nearby. Oh – and some of the best hotels and restaurants in the country are here too. Manuel Antonio is a microcosm of Costa Rica and is an unmissable place when visiting this country. The Rio Pacuare is legendary among river rafters, who count it as one of the top five river runs in the world. The river flows from the Talamanca Mountains over 120 km to the Caribbean Sea. It passes through virgin jungle where one can still see Cabecar indigenous huts bankside and, if you’re lucky, a big cat. Many lodges are only accessible by raft – the closest roads are miles away – and the river is the only way in or out. A few nights in a river lodge on the Pacuare surrounded by rainforest will bring out the inner Indiana Jones to the most jaded of travellers. Most travellers ignore the Caribbean side of Costa Rica. It’s not the easiest place to reach, and Tortuguero is no exception. Boat or plane is the only way to reach this national park. Once here you’ll find a tiny funky little village surrounded by the beach on one side and a network of canals and lagoons on the other. This is prime angling territory and the fishing lodges around here are all about catching big tarpon in the brackish waters. 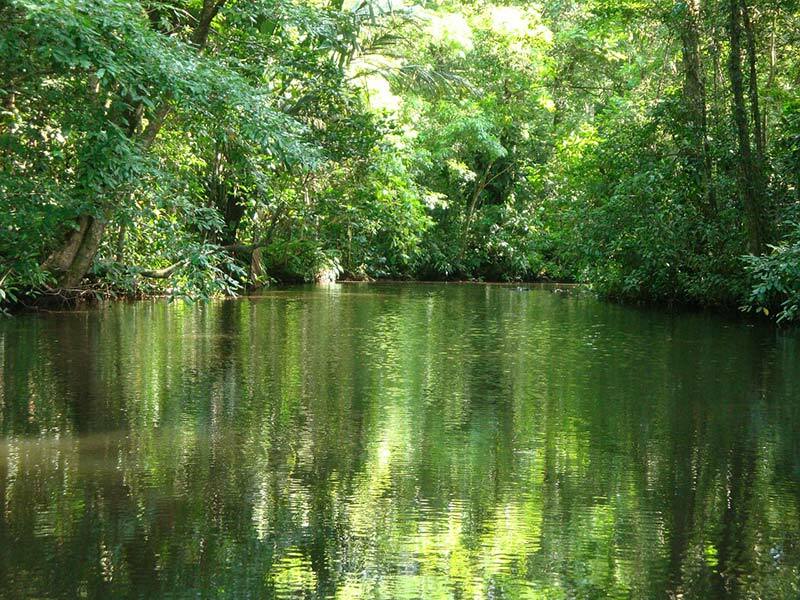 Other activities include exploring the surrounding jungles and mangroves. Tortuguero translates as “turtle place” or “land of turtles” and the beaches here are famous for their green turtles who come in September and October. It’s no easy task to pick out ten unmissable places in Costa Rica. But the locations listed above do the country justice. That said, for each spot listed there are ten more to take its place. Perhaps it’s safer to just name one missable place – the entire country of Costa Rica itself! James Dyde is a British immigrant to San Jose, Costa Rica, where he works as the editor-in-chief of the travel and lifestyle site centralamerica.com for Namu Travel.